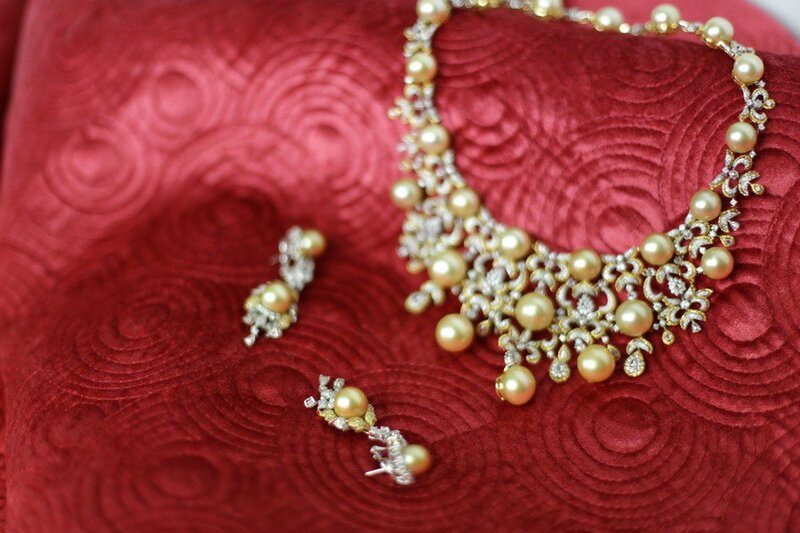 “Pearls are always appropriate” Jackie Kennedy. 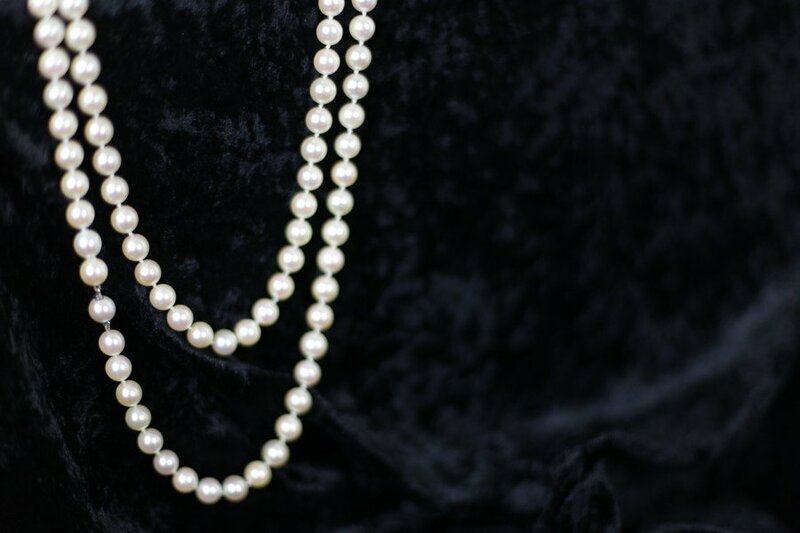 Our Luxury Assets division are proud to offer two exceptional cultured pearl and diamond necklaces in our forthcoming Bond Street Auction. 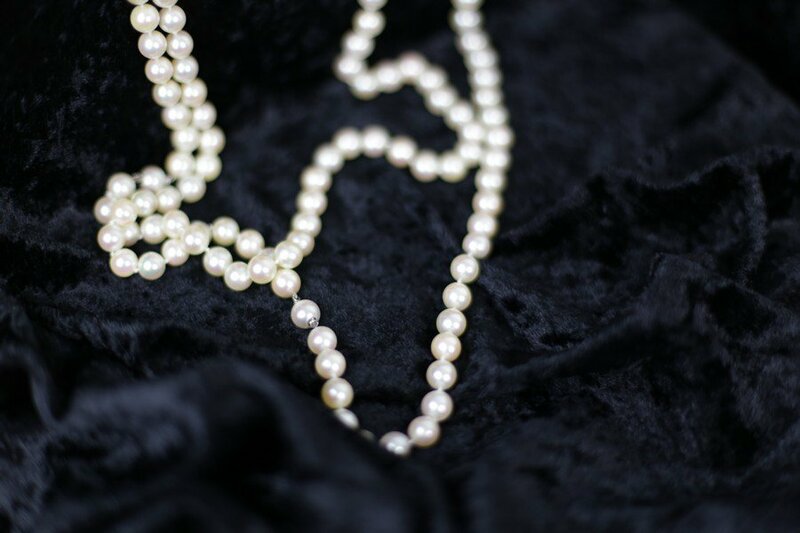 A classic accompaniment to almost any outfit, pearls have been popular fashion accessories as well as significant gemstones in sentimental jewellery for thousands of years. The pieces on offer in our Bond Street auction show the versatility of the gemstone; one is of a sleek design harking back to the ropes of pearls worn by Flappers in the Art Deco period, and the other boasts a sumptuous design that is unapologetically extravagant. Lot 83 is a striking piece by renowned jewellery house Boodles & Dunthorne. The suite comprises four separate strands of South Sea cultured pearls, which can be joined together to form a strand of 188cm. This versatile piece of jewellery can be worn single, wrapped around multiple times or worn long as a rope. The piece includes two 18ct gold baguette-cut diamond keepers, which can be clipped on to create and secure the desired look. This effortlessly stylish and timeless piece of jewellery is so customisable and elegant, it is the perfect investment piece for any jewellery box! On the other end of the spectrum, lot 85 is an elaborate cultured pearl and diamond suite of jewellery, adorned with brilliant and rose-cut diamond scrolls. 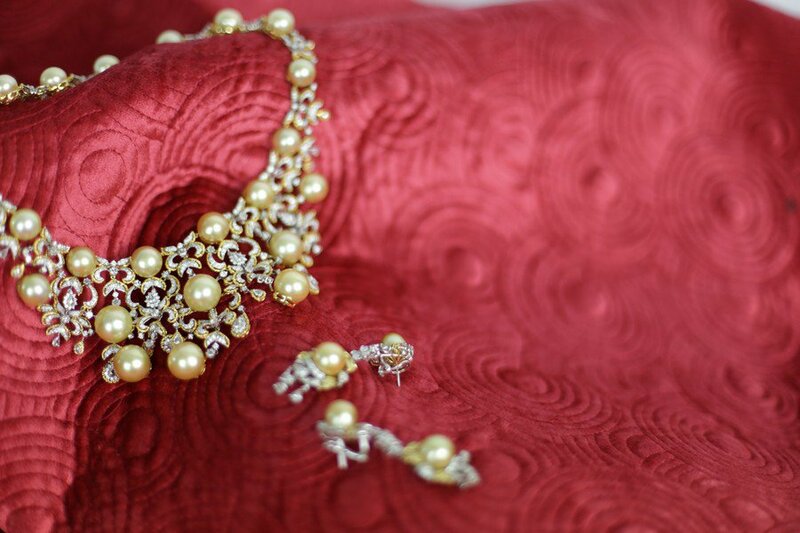 The cultured pearls in the piece are impressive, ranging from 12 to 15mm in diameter, with a regal golden-yellow lustre that is accented by the bi-colour metal surrounds. Complete with matching drop earrings, and totalling over seven carats of brilliant-cut diamonds, this suite is not for the shy and retiring! Both of these lovely cultured pearl and diamond necklaces will be available to bid from Friday 11th August and can be viewed at our Marchington saleroom on Monday 14th August from 11am until 2pm, or our Bond Street saleroom on Thursday 17th August from 10am until 2:30pm. For further information on any of the lots in the sale please contact the Luxury Assets department.